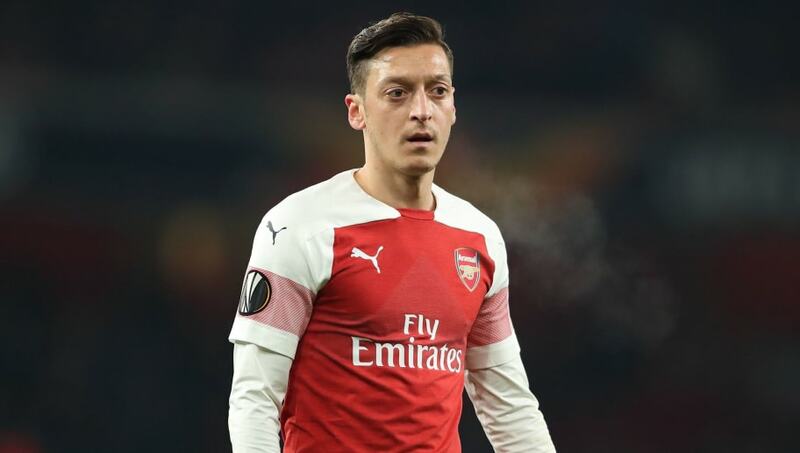 Stan Collymore has launched a scathing criticism of Arsenal manager Unai Emery's treatment of midfielder Mesut Ozil. Ozil, one of the Premier League's highest earners, has started just one match since November and even failed to make the matchday squad for the 1-0 defeat to West Ham United. He was given a place on the bench during the 2-0 victory over Chelsea, but was an unused substitute. Writing for the ​Mirror, Collymore insisted that Emery has handled this situation atrociously. He said: ​"​Arsenal don’t have the strength of ​Manchester City, ​Liverpool, ​Manchester United and ​Tottenham. To gatecrash the Champions League places they needed two things: a near-faultless season from their own players and a meltdown from one, maybe two, of their rivals. "If Emery does lead them to fourth come May, then you’d have to say he was right to sanction ​Aaron Ramsey’s departure and treat ​Mesut Ozil the way he has been doing. "Ozil, the club’s £300,000-a-week top-earner, didn’t even make the bench at ​West Ham last weekend and has been used sparingly for most of the season. I’m not convinced that’s the best policy. "I know he’s a symptom of Arsenal’s soft underbelly that has dogged them for so long, but he’s still a World Cup and ​La Liga winner with bucketloads of experience and ability. "Let’s say Emery’s men miss out on the top four this season by one point – fans would be within their rights to ask whether Ozil could have made a difference. These are the fine margins that can create discontent – and discontent can very quickly become mutiny. "Instead of hanging Ozil out to dry, Emery should put an arm round him. Players understand and accept it when a manager tells them they are not part of his long-term plans. It does not mean that they can’t still do a job for you under the right circumstances. But you can’t just keep treating them like lepers. "This season, Arsenal have to finish in the top four to make leaving Ozil out for virtually a season look a sensible strategy. "But, with Manchester United making giant strides under Ole Gunnar Solskjaer, with Spurs in it for the long haul, with ​Chelsea always a threat, and with Manchester City and Liverpool certain to fill the top two slots, a top-four finish for the Gunners looks a pipe dream."